“During its meeting on December 28, 2016, the National Order of the Arrow Committee authorized a dues increase to $5.00 per member. The last national dues increase to $3.00 per member took effect January 1, 2006. At that time the National Committee projected that this increase would be sufficient to fund operations without additional increases for five years. By demonstrating excellent financial stewardship, we have outlasted that projection and have maintained dues at the current level for twelve years. 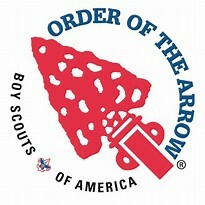 It has long been the policy of the Order of the Arrow that dues collected from its members be used only to run the operations of the national organization. In fact more than 80% of our annual operating budget, mainly driven by dues income, covers the salary and benefits of our two professionals and two support staff, communications with our membership (including our website, enews and National Bulletin), travel for professionals and six national officers and program recognition for our lodges.